For most bills in American legislature, the issue of turf - or which committee has jurisdiction over a bill - is crucial. This study explains how jurisdictional areas for committees are created and changed in Congress, and dissects the politics of "turf-grabbing". Political scientists have long maintained that jurisdictions are relatively static, changing only at times of dramatic reforms. David King disagrees with this premise and, combining quantitative evidence with interviews and case studies, he shows how ongoing turf wars make jurisdictions fluid. 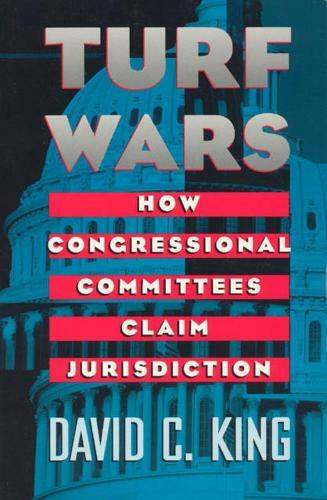 He argues that jurisdictional change stems both from legislators seeking electoral advantage and from nonpartisan House parliamentarians referring ambiguous bills to committees with the expertise to handle the issues. King shows how parliamentarians have become institutional guardians of the legislative process.